Most who have ever met Srinu and I for any length of time have come to know our story in some shape or form, whether from the beginning or middle. Most are curious once we have met and started to learn of their love story how ours itself began. 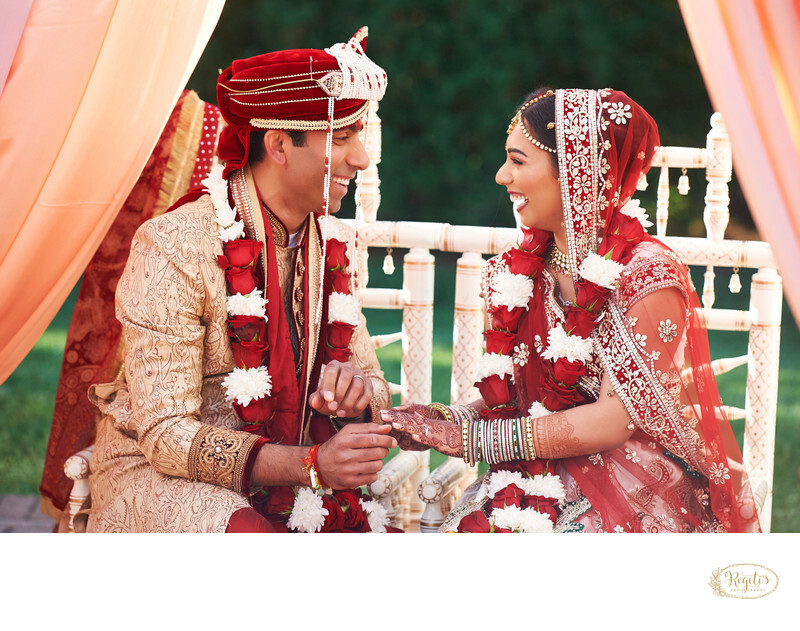 Ruchi and Deepak were no different, from the moment we sat down to dinner I think I personally knew that Ruchi and Deepak were a great fit as a couple for Srinu and I to cover their wedding… as our story’s are similar. After a bit of waiting we were delighted to receive a call from Sumeet Bugai of Dream Shaadi letting us know that we made the cut and that Ruchi and Deepak would love to have us cover their upcoming events/celebrations. Excited, is an understatement in describing how I felt, knowing that Srinu did not meet this couple during our consultation I could not wait until he did. It was during a beautiful day this spring that we were both finally able to meet up at the Lincoln and get some awesome shots of the two of them. Srinu immediately realized how perfect of a match we were for this couple – I knew it wasn’t just me! When you choose to only photograph a select number of 20 weddings a year in order to properly manage your time with family, your clients and maintain a healthy personal life, it cannot be stressed enough how important it is that each client be the right fit so that every image you shoot counts. That it did! Location: Rose Hill Manor, 42140 Raspberry Plain Lane, Leesburg, Virginia. Keywords: Hindu Wedding Ceremony (3), Indian Bride and Groom (18).